Hong Kong – August 13, 2015 – Today, Eastasiasoft Limited—the Hong Kong–based developer and publisher of interactive entertainment— and development partner SideQuest Studios are excited to announce that their upcoming role-playing game Rainbow Skies and their previous bestseller Rainbow Moon are currently in development for the PlayStation®4 computer entertainment system. Rainbow Skies will be available for the PlayStation®4 system, PlayStation®3 computer entertainment system and PlayStation®Vita handheld entertainment system in the second half of 2016, while the PlayStation®4 system version of Rainbow Moon will launch sometime in 2016. Both titles will support Cross-Save functionality. More information are available on the Rainbow Skies official website atwww.rainbow-skies.com . Online press kits for both games can be found atwww.eastasiasoft.com/press . From the makers of Rainbow Moon comes Rainbow Skies, a new fantasy role-playing game. Players immerse themselves in a colorful and vibrant world, filled with deadly creatures, murky dungeons, turn-based battles, bustling towns, shops, and much more than you would expect to find in a typical RPG. Tamable monsters, upgradable characters, and a variety of weapons and equipment offer a wide range of customization and character development possibilities. A huge variety of optional and endgame content, side and treasure hunt quests, a new main story, and other exciting content will keep RPG fans entertained for over a hundred hours. eastasiasoft is an independent, Hong Kong–based developer and publisher of interactive entertainment, specializing in video games and related media. Founded in 2007, SideQuest Studios is a German development studio made up of veteran game-industry programmers, artists, and musicians. SideQuest Studios has previously worked on Rainbow Moon and the Söldner-X franchise. 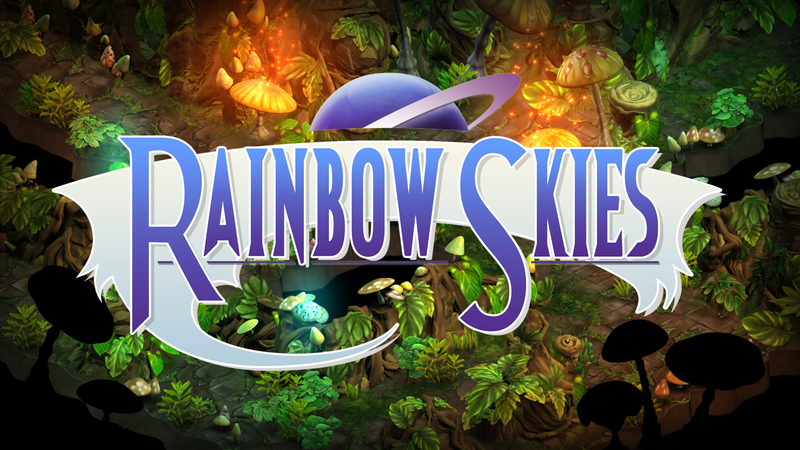 Rainbow Skies has not yet been rated by the Entertainment Software Rating Board (ESRB). Please visit its website at www.esrb.org for more information about ratings.